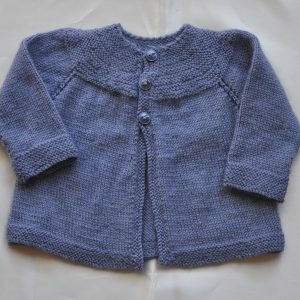 Probably a little big for the average weight new born but they will soon grow into it. 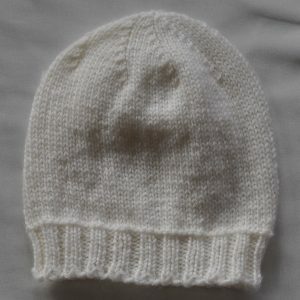 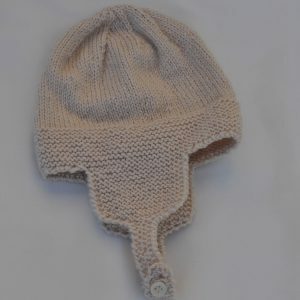 The ear flaps can be turned up to fit if this is the only beanie you have for your new bub. 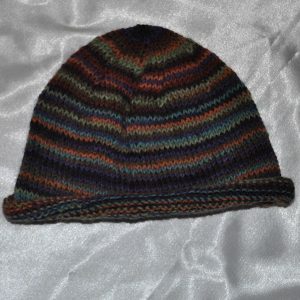 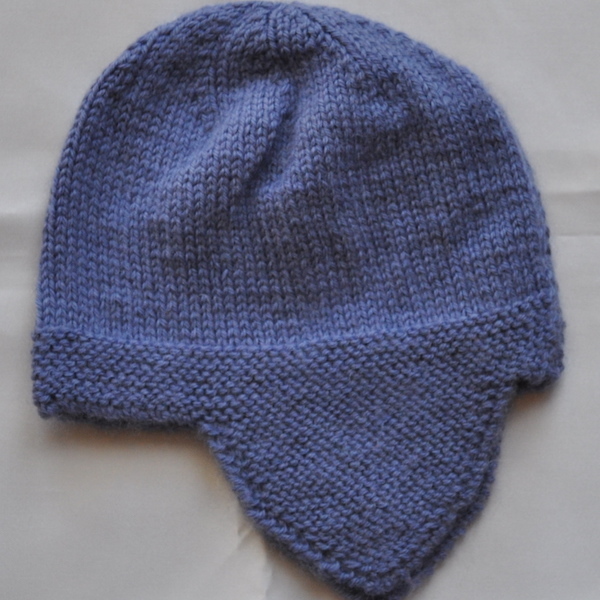 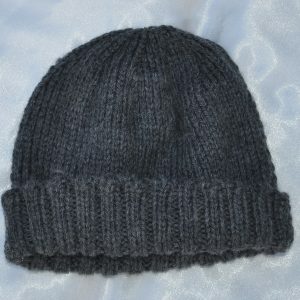 Hand knitted in a Patons yarn – 90%merino/10%cashmere.